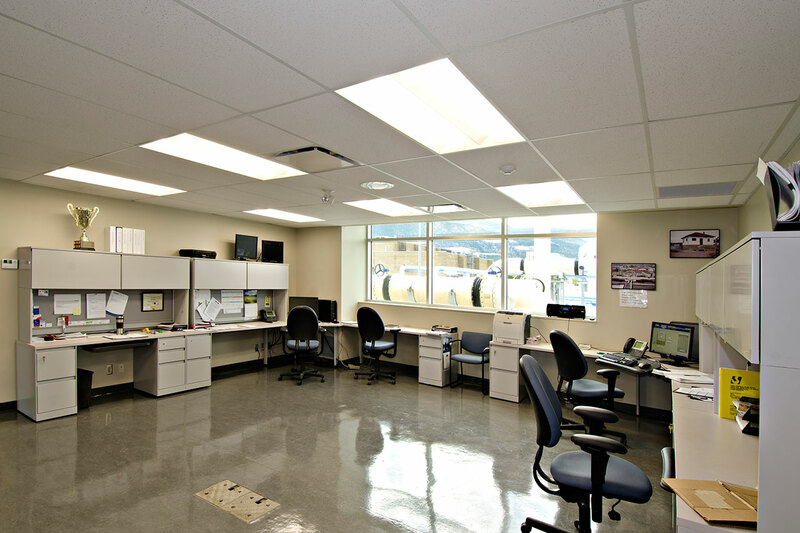 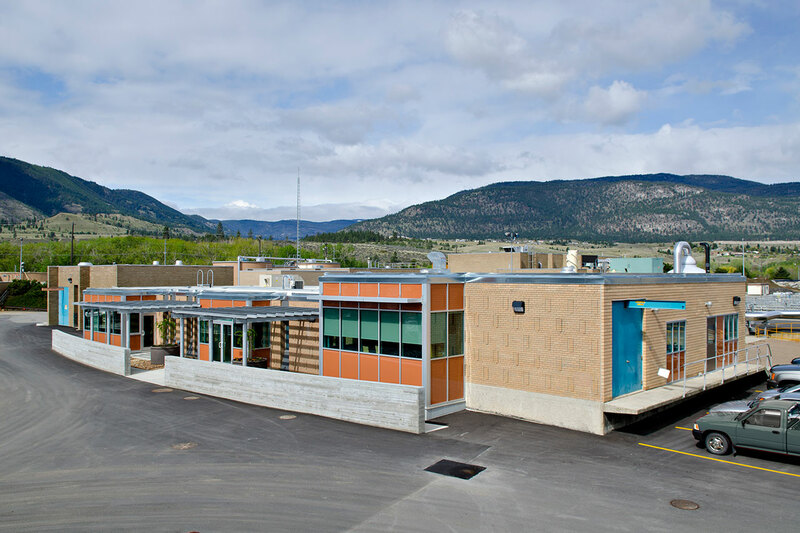 The Penticton Waste Water Treatment Facility project includes a renovation to the existing one-storey building, and a 500-square-foot addition comprising offices, shower and change rooms, and a laboratory. 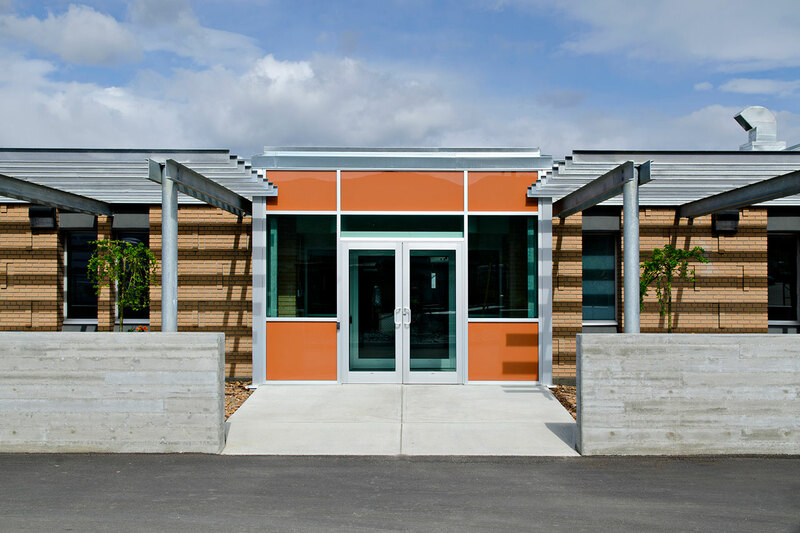 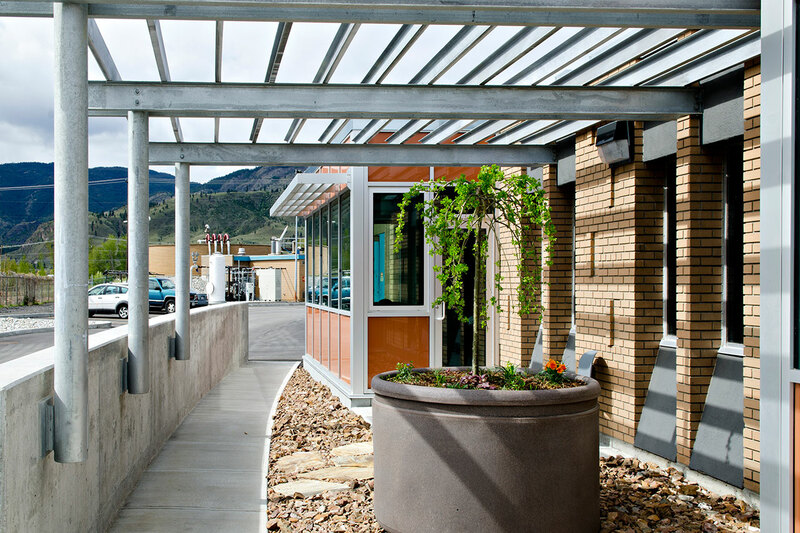 Low maintenance materials were use on both the exterior and interior surfaces, including exposed galvanized steel columns and beams, anodized glazing systems, coloured glass spandrels and brick. 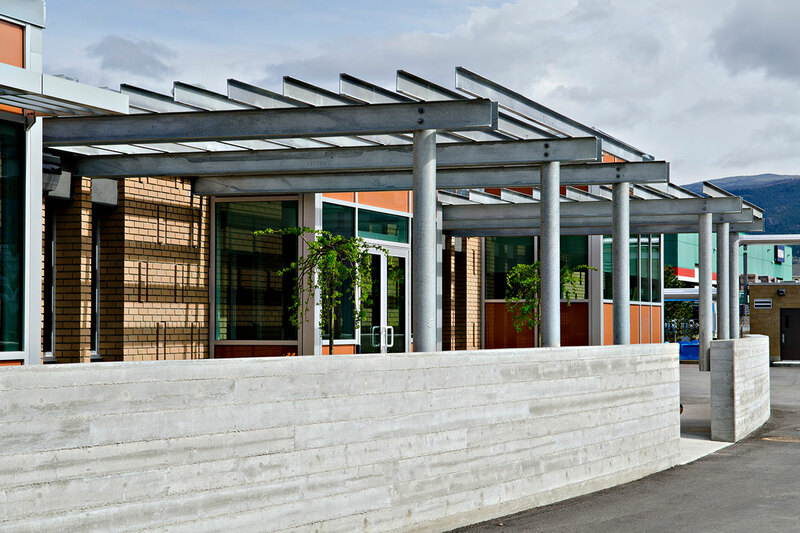 The public entry court is defined by a landscape wall made of board-formed concrete. 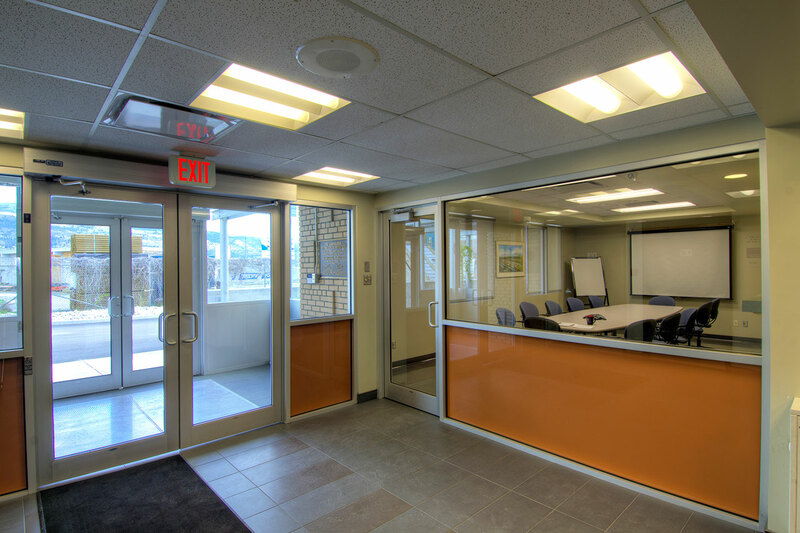 The wall protects the area where tour groups wait to enter the facility, and shields the administration offices and plant operators from sand and frequent noisy truck traffic.